One of the main characteristics of abrasive water jet machining (AWJM) is jet lag effect. In this case, by controlling basic machining parameters (water pressure, cutting speed, and abrasive mass flow rate), evolutionary algorithm is used for modeling and optimization of trajectory curvature in AWJM process. Based on experimental investigation, genetic programming was used as the main exploration tool for generating function of the jet lag depending on the machining conditions and as a potential way in the AWJM simulation. Judging by the output, the genetic programming yielded impressive results and has proven to be very practical for modeling of the abrasive water jet trajectory curvature. 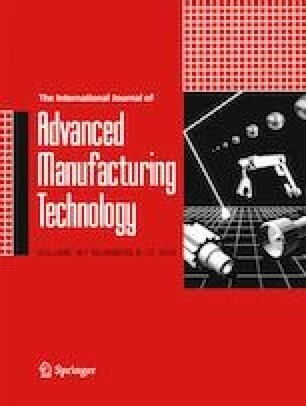 In the sequel, the optimization of AWJM process is used approximate optimal control problem which leads to the best solution for the jet lag considering the machining parameters. With this action, we can say that different access has been made to find precise dependence of AWJM process parameters with the trajectory curvature to obtain high productivity and quality results. The paper is the result of the research within the project TR 35015 financed by the Ministry of Education, Science and Technological Development of the Republic of Serbia.